Sea-watch is a perennial plant with thick stems rising from a strong taproot, growing to 1.4 m tall. 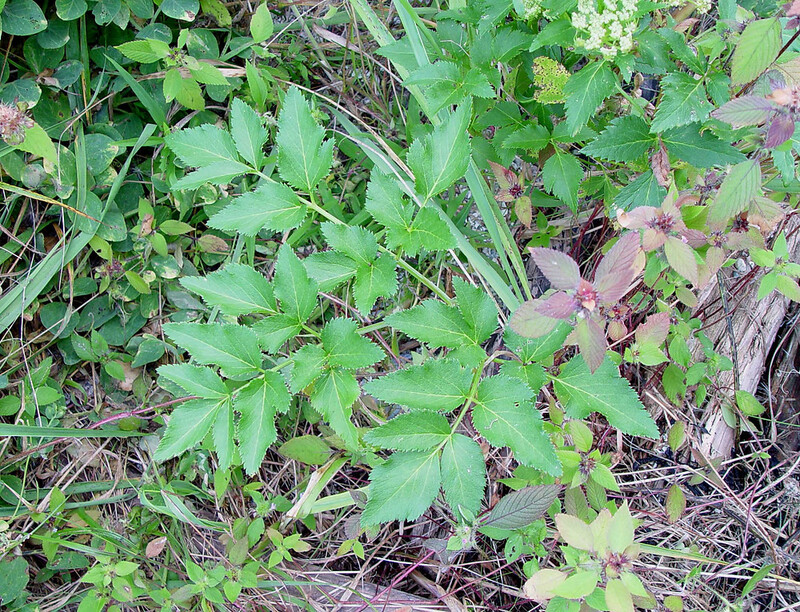 It has large leaves that are divided into three sections 2-3 times. The leaflets have pointed tips, are egg- to diamond-shaped and are irregularly toothed. 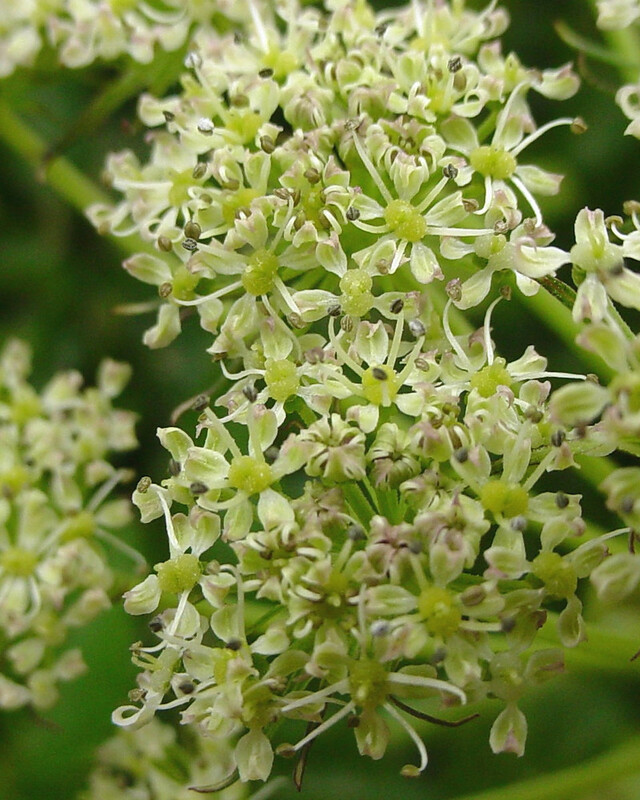 Its small white flowers form dense umbrella-shaped clusters. Its somewhat oblong-shaped fruits are ribbed and measure 4-9 mm long. Sea-watch is commonly found on moist beaches and other coastal habitats. 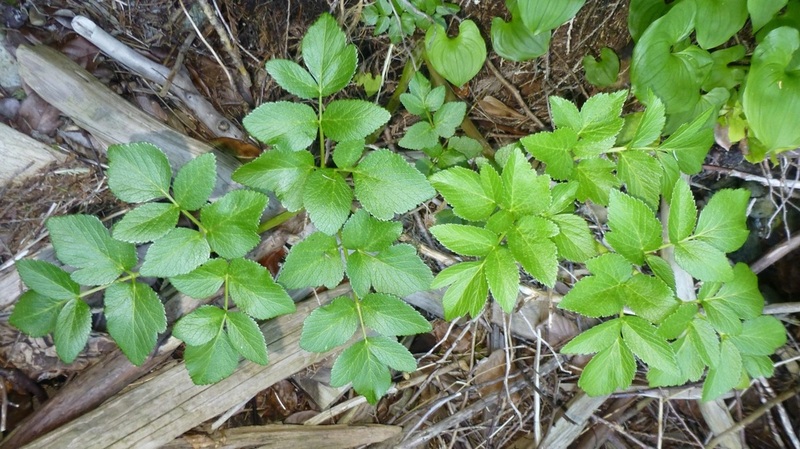 In the southern part of its range (Vancouver Island and south) it grows near shorelines or inland at low elevations, while in the north of its range it can be found to subalpine elevations, growing in and west of the Coast-Cascade Mountains. Its range extends from Alaska to California. It is also found along Pacific coastlines in Asia. 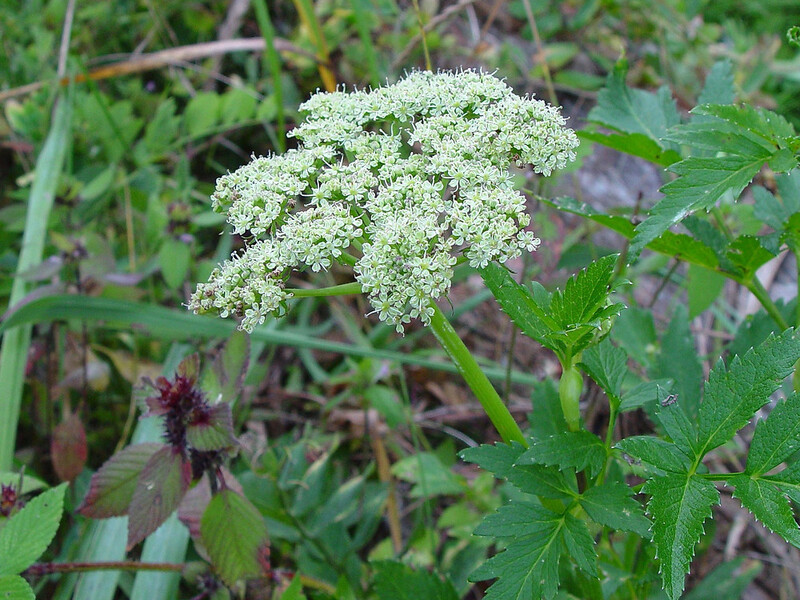 Sea-watch looks similar to other members of the carrot family, especially the cow-parsnip (Heracleum maximum), which has a similar thick stem and large white flower. Sea-watch can be distinguished by it’s distinct “potato-ish” leaf pattern, and lacks the pungent aroma of Cow Parsnip. 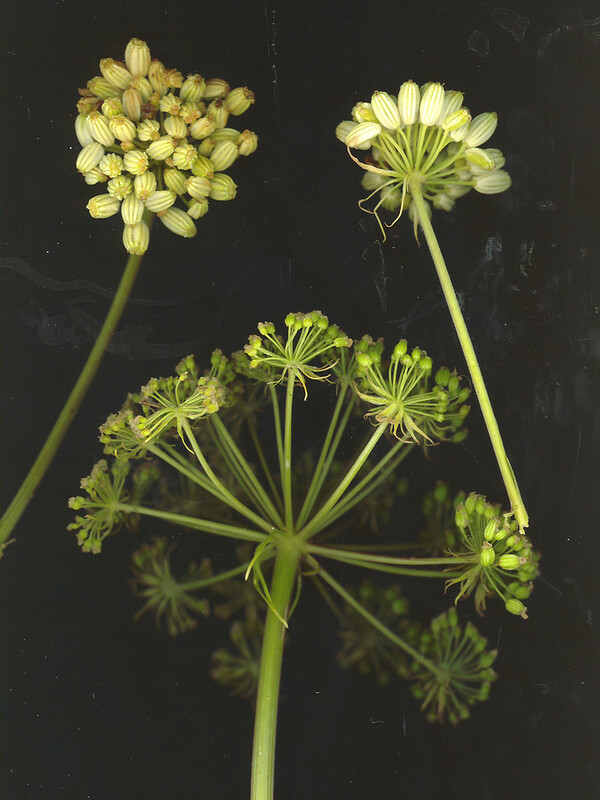 The stems are a traditional food source for indigenous people on the coast, who call it “wild celery”. The Siberian Inuit have traditional uses for it as well, as a protective amulet and a seasickness remedy. 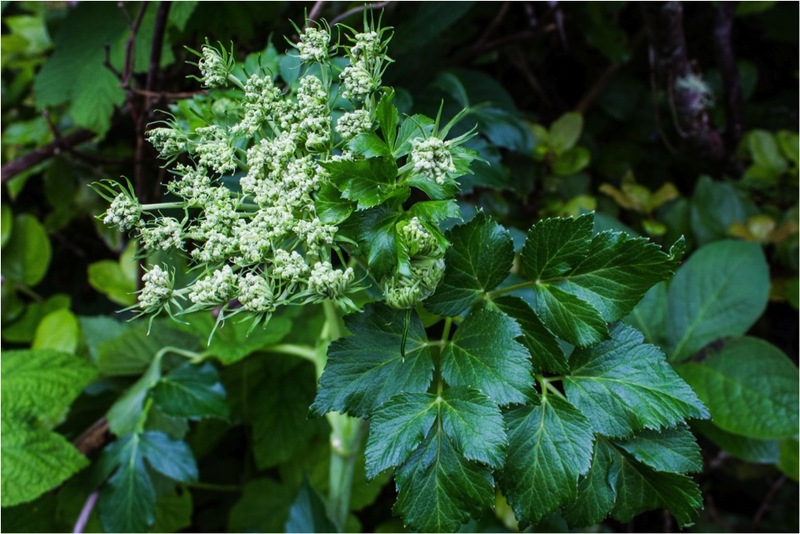 Angelica archangelica is a European plant that was supposedly recommended by an archangel as a remedy for cholera and the plague; species of Angelica were therefore thought to have healing powers. Pojar, J. and MacKinnon, A. (1994). Plants of Coastal British Columbia. Vancouver, BC: Lone Pine Publishing. P. 218.